Perforate about a 1/2" band on 3 sides of a letter size piece of cardstock. We use a rotary cutter with a perforation blade but you could also use an exacto blade and a "dashed" cutting pattern. 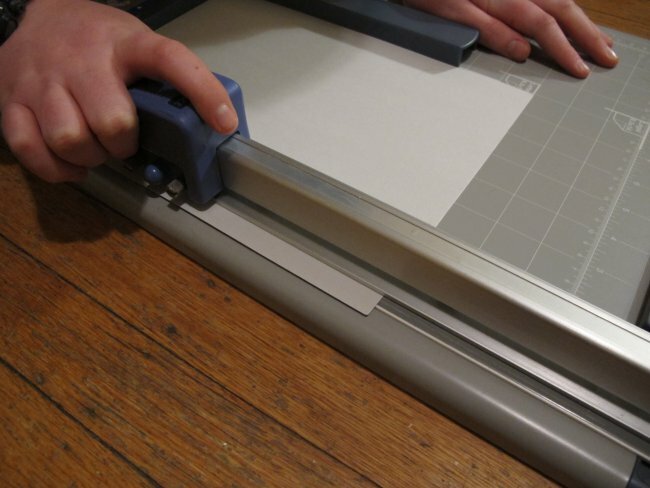 Trim tissue paper to the edge of the cardstock - I use a straight edge and an exacto blade. Make sure that the resolution of the image is large for best results. Print images with your color inkjet printer on the "Decal Blank"
Spray top surface of tissue with a clear (non water based) finish. Several light coats is better than one that is too heavy. The cardstock backing holds everything in place while you spray. 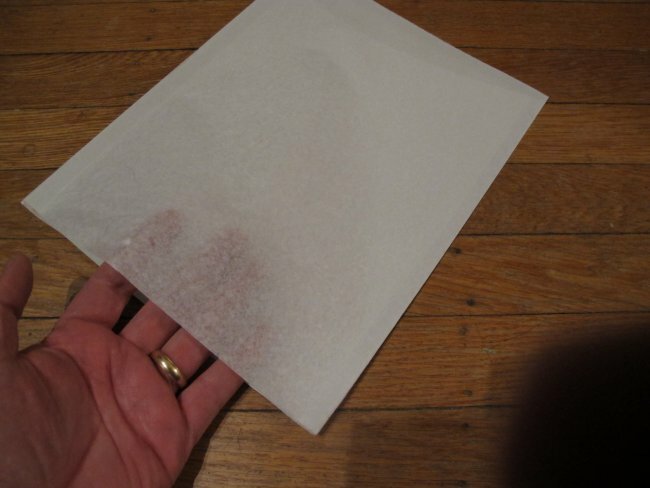 Carefully separate the backing from tissue by tearing the perforations on one side and the top. 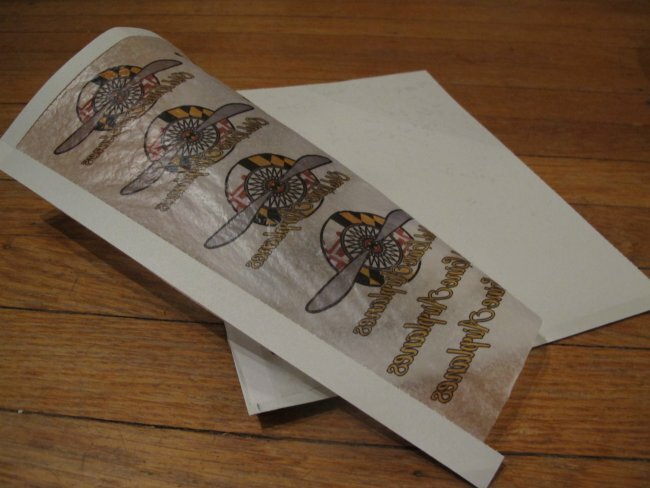 Fold back tissue using the cardstock "frame" and seal the back of the decal with the same thin coats. If you are applying the decal over a colored surface you can seal the back side of the decal with white to serve as a background. 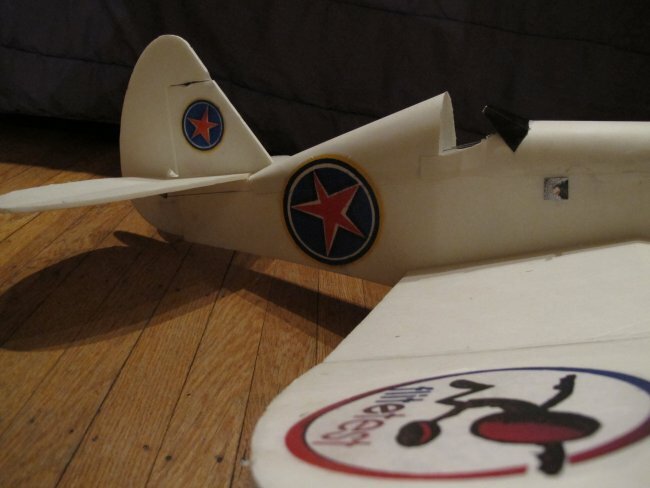 Apply a thinned (about 50:50) mixture of white (elmers) glue and water to the surface of the plane. 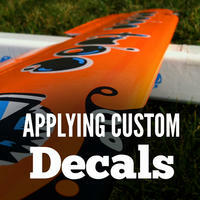 Carefully place decal on surface and adjust location using wet brush. Work decal into any groves or detail on the surface with the brush. Working from the middle out, push any bubbles out from under the decal with the brush. Great post, I could tell you took a long time getting everything right. That is a great idea, thanks for sharing. I've really wanted to add a set of teeth to a Grey Nurse themed FT Spitfire, this looks to be just the solution. nice idea, thanks for sharing. Question? I follow your post clearly, but you leave out the brand or exactly what is a clear (Non-water based) finish. Can I apply this decal directly to the paper backing to my DTFB or do I need to Minwax paper before to keep the 50/50 mix of water and glue to keep the paper from delaminating from the foam? Ill try this technique to my next model. I have not tried to apply the decal without the minwax but I do not think the 50/50 mix would lift the paper (easy to test). Great idea, saves from having to try and paint and mask everything. 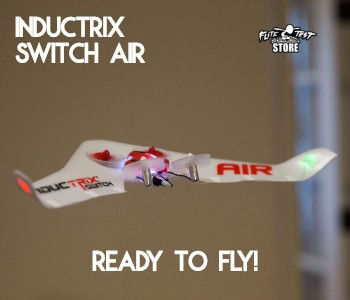 I'm going to try this on my next build. Thanks for sharing. 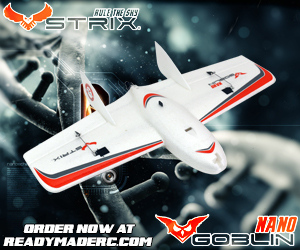 does anyone think that this could be an alternative decaling method. all you have to do is print them out. I've tried this method. It works ok for simple decals, but the solid white back ground only works on white surfaces, and adhesion is minimal at best. genius idea brother...!!! keep up..
We do not have much experience with the video production side yet, but we will try to put something together. This is awesome!! 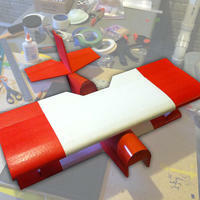 I've always wanted to paint my plane, and this will make precise images. Will it work on wood or fiberglass? It should work fine on wood or fiberglass. Just remember that the tissue is transparent and you have to take that into account if you are putting it over another color. If you do not want the other color to show through, you need to spray the back side of the paper white. Thanks for the share! 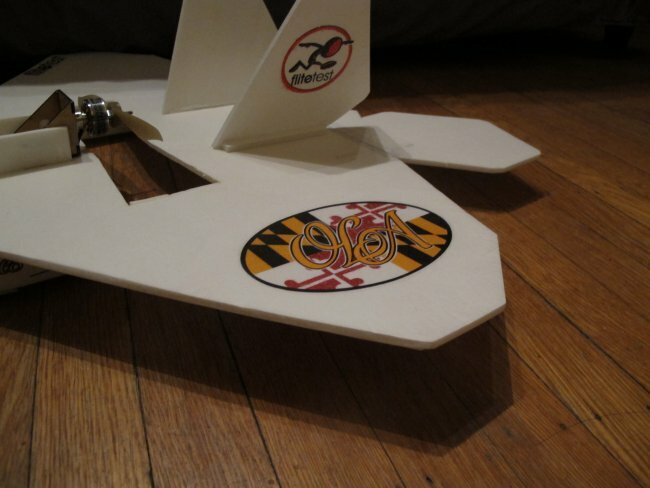 On an off note...I see the Maryland flag in your decal/logo... are you flying out of Maryland? yup- Baltimore- I just love the MD Flag! awesome, I am in Hagerstown, so we are definitely experiencing the same lovely (smh) weather!!! Not much flying going on around here lol. 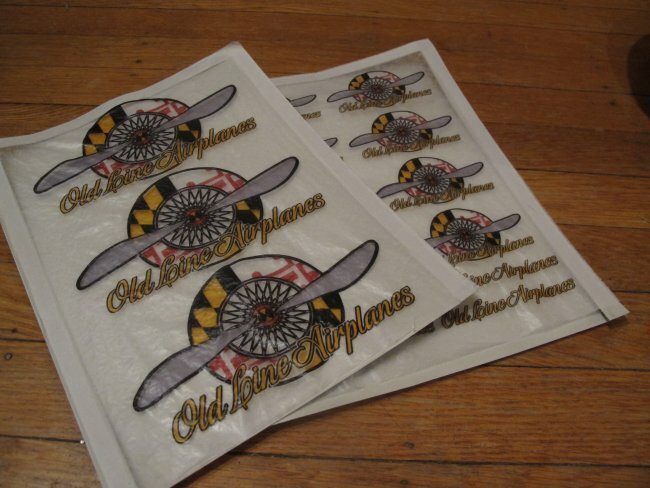 I am a retired tattoo artist and was truly inspired by your article to take a few of my many original designs from over the years out of their dusty folders and thinking about hooking up a few off the wall "Tattoo style" Flight Test planes, because hand drawing designs on foamboard isn't the quickest or the most stress free of options!!! just a quick question...do you have to use a INK JET printer??? I have a H/P desk jet printer will that work as well as a INK JET printer. 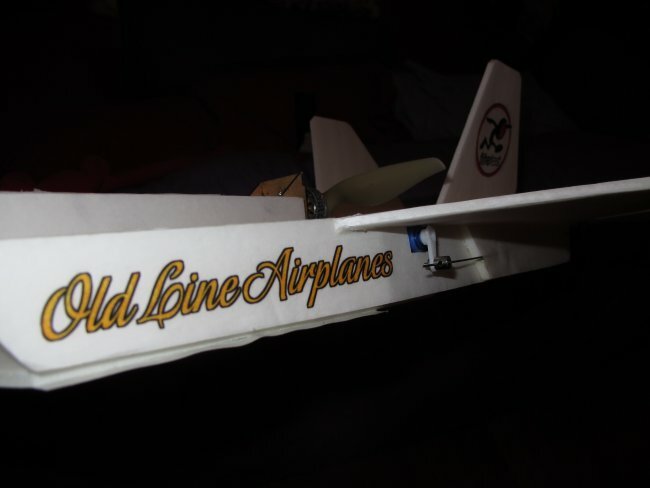 Boy its really nice to read all the great ideas you guys have especially for an old geezer like myself who is still relatively new to this wonderful hobby. THANKS A BUNCH !!! "DeskJet" is just HP's brand name for their inkjet printers. I have an actual laser printer and also wonder if I can use it...probably not is my guess...due to the use of glue etc.